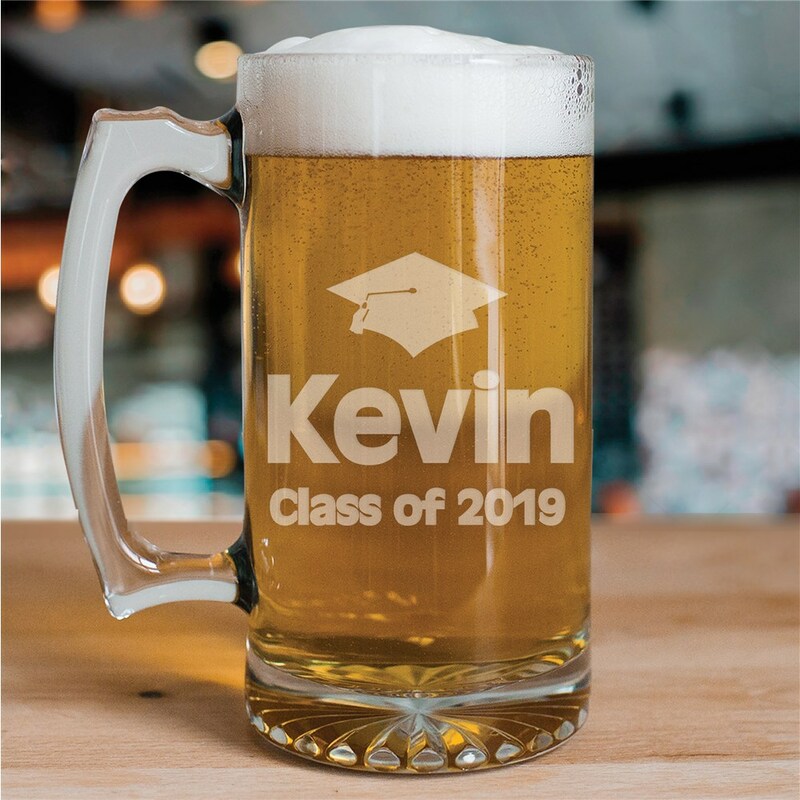 Treat your new college grad to a cold one when you surprise them with this engraved glass beer mug. Graduation Cups Personalized with any name and any year. The mug was better then i expected.